I awaken Saterday morning and surprisingly it is misty and drizzling. 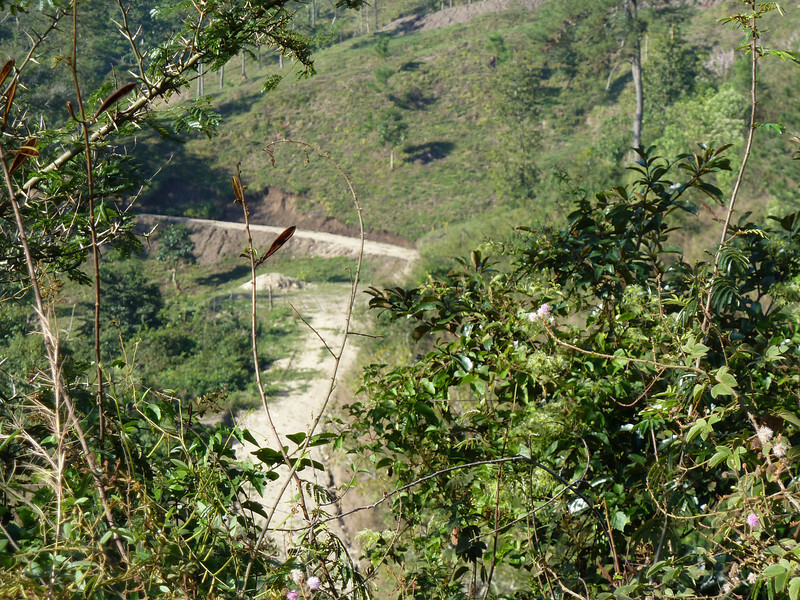 It is surprising because this is the dry season and it has not rained here in several months. This is my first chance to see my surroundings by daylight. It is truly a beautiful sight. A river flows below. Several ranges of mountains are mist shrouded. It is incredibly green and punctuated by bright flowers. After coffee, Manuel suggests that perhaps we should visit the caves today and wait another day before going to the pools. He feels, and it is the generally accepted wisdom, that by tomorrow we my very well return to sunny weather. Sounds like a plan to me! Mucho cafe Guatemalteca and a good breakfast later, we embark for Kanba Caves (author’s note–I am writing this around a dining table with a couple of crazy Sicilian restauranteurs and assorted Argentines eating fucelli and drinking rum). O.K. Back to the story. We walk into town and hire transportation for the 9 km ride. These pickup truck taxis are everywhere in Guatemala. For example, you can ride from town to town around Lake Atitlan in one for Q2, even less than the Q5 that the Tuk-Tuks charge locals. 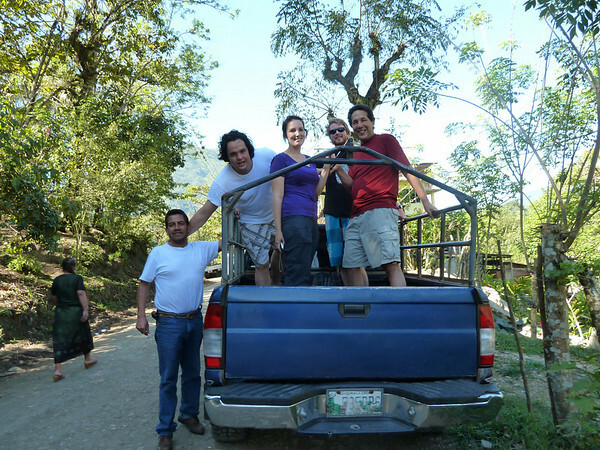 We arrive at Kanba Caves which is a 100% Guatemalan owned company. Wearing only board shorts and Chacos (sorry gang, my camera is not waterproof) we are issued candles and decent into total darkness. 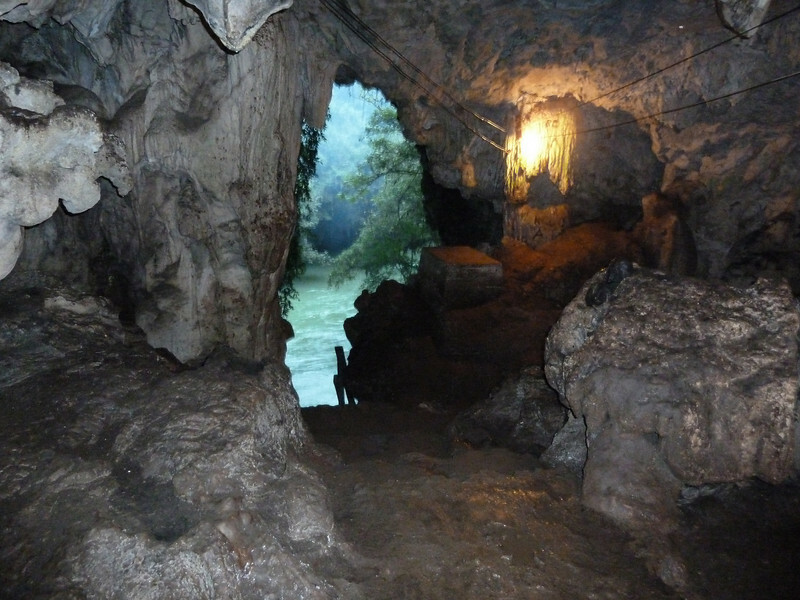 A river runs through the cave network which extends for miles. We walk, wade or swim in turn often holding our candles in our mouths. It is wild with stalagtites, pools and waterfalls everywhere. We climb metal ladders and hang by ropes. This is not an OSHA approved attraction! On the way back, we take a different route and after swimming underground, we come to a dead end where there is only a black hole with water disappearing through it. My guide points to where I should place my feet inside the lip of the hole. And then he tells me to let go. My body does not initially want to do this but I convince it and slide into darkness. I drop a few seconds and then land in the water, submerging and then resurfacing. Serious adrenalin! Shortly after, we emerge from the cave. We are issued inner tubes and spend the next 30 minutes leisurely tubing down the river back to where we started. 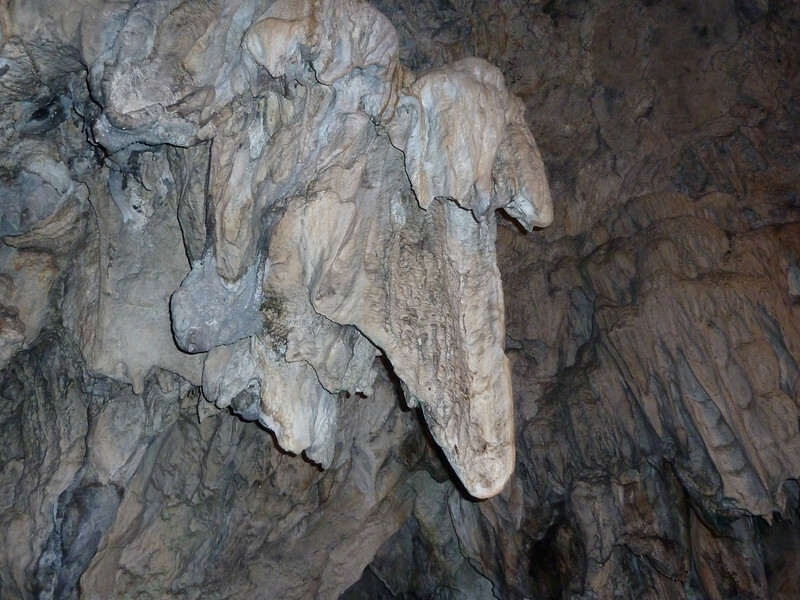 Later, back at Zephyr Lodge, we decide to walk down to the Lanquin Caves, another complex just outside of town to watch the nightly show when tens of thousands of bats emerge. This cave complex can be explored on dry ground for a couple miles. It has not been explored beyond that. Oh yes,and we want to get out by 6:00 pm because that’s when they turn off all the lights so it doesn’t mess with the bats navigation. We emerge and find spots to stand near the entrance. It is pitch dark now and here come the bats. First a few, then a crescendo of high pitched squeaking and then there are thousands flying by occasionally brushing your head! Then it’s over, a walk back to the lodge, dinner and more Shithead before off to bed. A very full day even without the pools. Such diverse experiences and scenery. 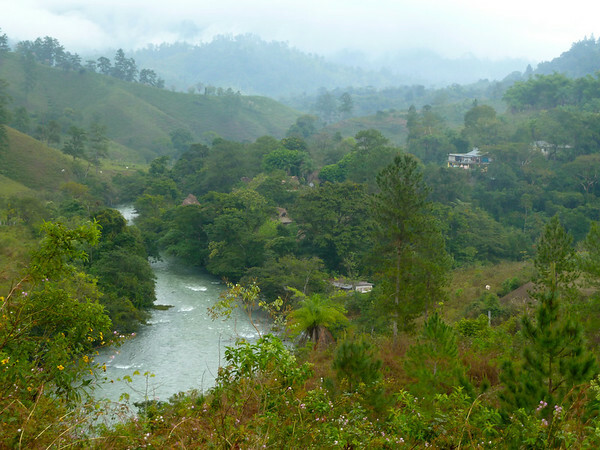 I never knew that Guatemala was such a beautiful country ~ again, thanks for sharing and allowing me (us) to experience all this with you. Your energy looks and feels so relaxed and into a new rhythm and pace ~ muy bueno! 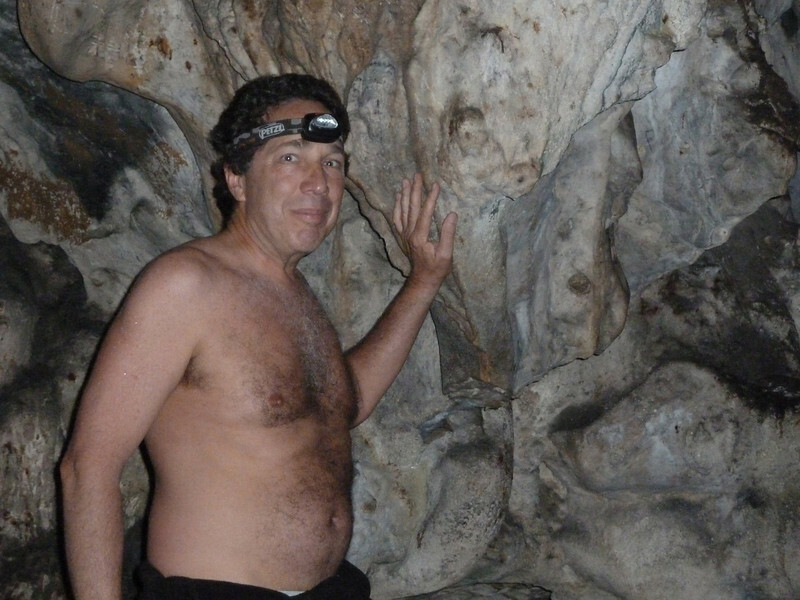 Your photos are gorgeous, Philip – especially the one in the cave with the light. Still thinking of you you from Vilca. Were you well the nite you left? 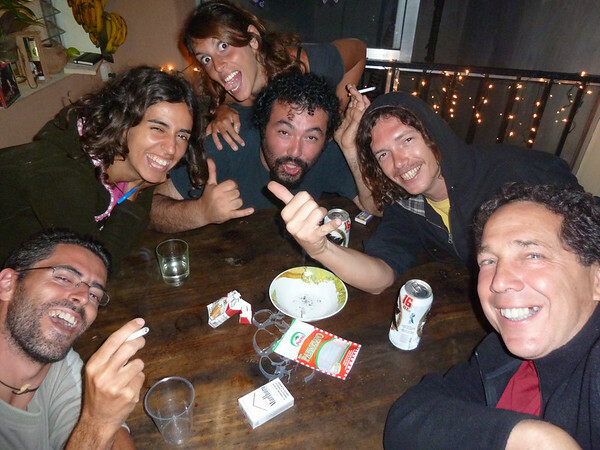 Thanks to your advice I hired a property manager and am coming back to Ecuador in the Fall. It was great to meet you Louise. Ar you back in Canada now? Good luck with the P.M. Get a good one.